Please use the form below to pre-register you and your pet for care at Charleston Veterinary Referral Center. 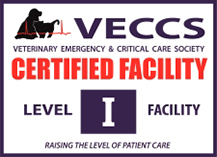 You may use this form prior to a visit with one of our specialsits, or to pre-register to streamline the process should your pet have an emergency and come to CVRC. If your pet is currently having an emergency, or might be having an emergency, please contact us at (843) 614-8387. If we are unable to reach you, who may we contact in case of emergency? Are you a member of the US Military, Police or Firefighter?